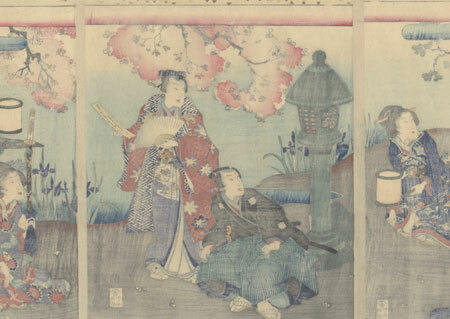 Hana Chiru Sato (Village of the Falling Flowers), Chapter 11, 1869 - Lovely illustration of Chapter 11 of the famous "Tale of Genji" of the young nobleman and his companions enjoying a spring day in the garden of a country home. 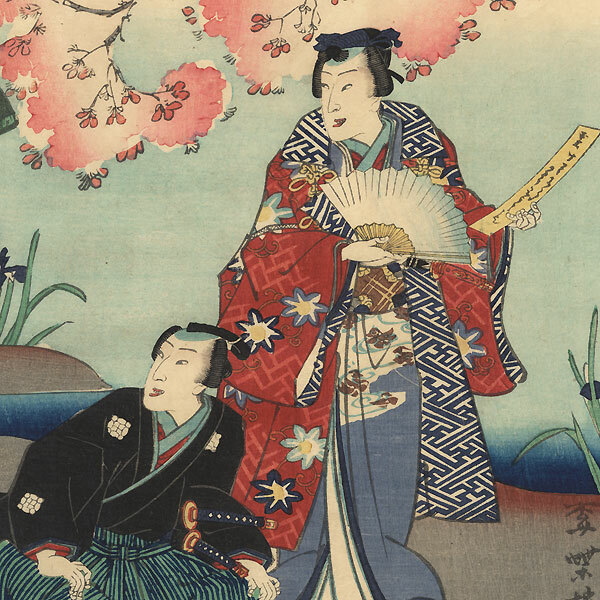 Standing in the center with a poem slip in hand, he grins back at the beauty at left, who smiles and tilts her head flirtatiously as she leans against the railing of the verandah behind her. 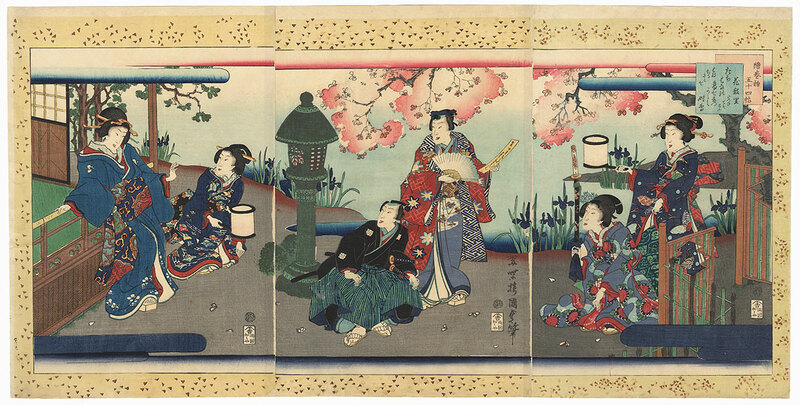 Two women on either side hold lanterns, and cherry blossoms frame a view of a pond edges with flowering purple irises. An attractively colored and detailed triptych, with soft shading in the water and clouds, and a yellow border decorated with confetti-like shapes.